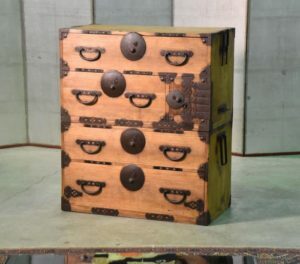 A Gifu region antique Merchants shop chest. This is my favorite style of Merchants chest. The last photo is of this chest before we cleaned it up and French polished. SKU: 13473. Categories: Chests, Merchant Chests, New Arrivals.